Graeme Davis is the CEO of Brüha, an online ticket provider in Ontario. But when he began working in startups, he found his lack of tech skills impeded. So Graeme started learning web development and iOS at BrainStation, and says he’s now able to contribute to the technical conversation. Next up for Graeme? He’s attending BrainStation’s new online Data Analytics course to learn how to tell a better story with data. Learn more about why Graeme believes technical skills make him a better CEO, and how BrainStation is helping get him there. Unlike some coding bootcampers, you didn't do BrainStation to change your career. Tell us why you decided to start learning web development and iOS. 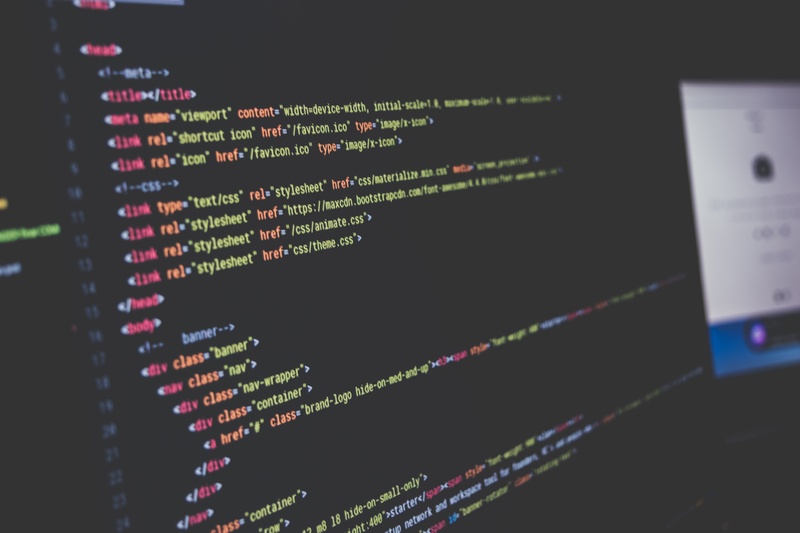 When I started working at a tech startup in 2012, I found it extremely debilitating not being able to understand the code and especially the finer points of code – how databases work and how to fetch data. I actually hired a tutor in 2013 to work with me one-on-one and teach me the principles of code. I started to see the nitty gritty of code, how to build a website, how to build an app, etc. Jason, the CEO of BrainStation, and I both went to Queen’s University, although we didn’t meet until he started the school. I was a big advocate of BrainStation and I had the opportunity to start taking courses. I took Intro to Web Development and Intro to iOS Development in February 2015. Now, as the CEO and co-founder of Brüha, an online ticket provider, being technical means I'm able to participate in all parts of the business, and any good CEO should be able to do that. After learning some programming with a tutor, why did you feel the need to learn in a classroom at BrainStation? When I learned with a tutor, we met two nights a week. The one-on-one experience was great, but he created a curriculum for me that was derived from a computer science university course. I learned Java and very conceptual projects. The reason I decided to do BrainStation was that I wanted to really build something modern and relevant to my work. It was interesting to learn the conceptual and theoretical blocks of programming, but I wanted to know how to deploy an iOS app and how to build a website. Could you build a website and put it live by the end of the BrainStation course? Totally. For one class project, I built a website for my friend who owned a gym. Plus, I got a free gym membership out of it. It was a cool opportunity. At the end of it, I thought, “Oh look, I can build a modern website that a real company can benefit from." I thought that was super valuable and it was totally a result of the Intro course. Even though BrainStation is teaching the basis, they show you the door and then you can take it upon yourself to expand further. Because I work in the tech space and am constantly engaging our dev team, everything we learned about at BrainStation always translated back into my day job. It was inevitable that I would keep learning. What do you want to learn next at BrainStation? I’m going to take the online Data Analytics course in Winter 2017. I couldn’t pass it up. At Brüha, we've been in the marketplace for a year, so for us data is everything. Whether it's customer acquisition, site performance, project scheduling, or project controls, we're always tracking data. So I thought that this course would be very relevant. In looking through the curriculum, I’m most excited to learn to query SQL databases. The curriculum also covers data analysis, Excel, relational databases, and Tableau for dashboards. 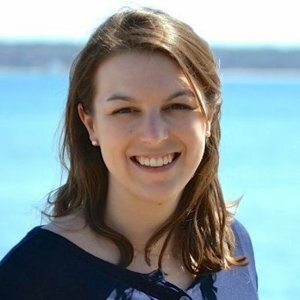 Why did you decide to take an online Data Analytics course? We're a small team with a small budget, so we try to do as much as we can in-house, and I feel like taking this course will be perfect for that. Our mentality is to be makers rather than consumers as much as we can. What are you doing to prepare for the online course? I haven’t really started preparing yet. There hasn't been anything sent my way. With the iOS and web courses, they sent over a few links to familiarize myself with. For this course, I haven’t gotten that prep work yet. How have the skills you learned at BrainStation made you a better CEO? The most prevalent benefit is the ability to be part of the problem-solving. Any decision I make is going to affect the business overall, but especially when dealing with technical challenges. For example, if we’re discussing how to interface with a different currency, that’s going to impact part of the business. As technical challenges arise, the most significant benefit of being literate in programming is that I can be a part of that conversation and help to brainstorm or provide suggestions. It's cool to be able to hop into code if you ever need to. Do you ever get to create new code in your current role at Brüha? I rarely will create code at Brüha– we have a very competent CTO that handles that. But understanding the code has been beneficial. We built all of Brüha native (not sure we’d do that again). So we have iOS and Android native apps and we also use HTML/CSS and PHP for web. All of the concepts that I learned at BrainStation, I can 100% apply to Brüha. However, in my personal life, I’m happy to use those skills – my brother needed something done on his website, and I could help him with that. What do you hope to bring to Brüha after taking the data analytics course? One thing I'm hoping to improve is my ability to model data. SQL queries are really cool, but from the Brüha angle, my role is engaging potential funders and financiers and even customers. No matter the channel or the end user, at the end of the day, I'm making a pitch and that pitch is very heavily about our data. It involves our sales metrics or our ability to increase tickets. I need to take that data, model it, and try to tell a story with it. So I'm really hoping that this experience at BrainStation builds on my ability to do that in a very efficient manner. 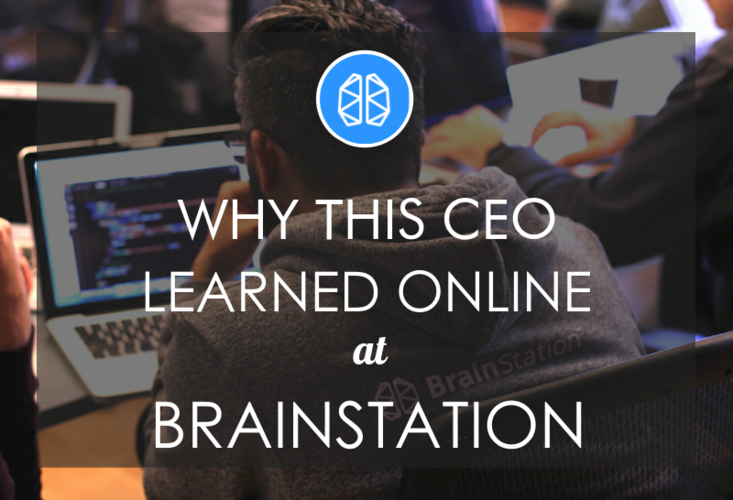 As a CEO, would you ever hire a Brüha developer from the BrainStation bootcamp? Short answer: yes, for sure. Long answer: as an employer, you have to really weigh it out and make sure your company is in a place to take that on. We've actually been very active in hiring co-op students (a type of subsidized internship popular in Canada) from local universities and colleges. It’s a huge advantage for a startup that doesn’t have a ton of money. The tradeoff that we’ve discovered is that the success of a co-op developer is so depended upon the ecosystem they’re coming out of. The university grade co-op devs don't really learn a lot of hands-on training in school, so they're coming into our company super green and it takes a lot of resources to train them. The only advantage that bootcampers have is they are actually doing hands-on work. The 3-4 months that they spend at a bootcamp is pretty much like getting trained at your first company. What advice do you have for other founders and CEOs? Should all CEOs know some code? If you’re a CEO at a tech company, then 100% yes! When I give keynotes at MBA programs, I meet so many MBA students that want to get into startups but they just don't have any software experience. My advice is always that it’s never too late. I studied philosophy and art in college. I realized at a later age that if you want to be taken seriously, then you have to speak the language. It’s like being dropped off in a foreign country and not being able to communicate. Your first priority should be to become code-literate. From there, you can truly be a contributing member of your team. Do you recommend BrainStation for learning Web Development, iOS, or Data Analysis? Yeah. One thing I love about BrainStation is that they really went for quality over quantity. Their mission was always to teach small groups with multiple, quality instructors. They’re not just focused on filling up a classroom. The instructor who taught us iOS was the Lead iOS Developer for Wattpad, which is a very successful tech startup at Toronto. He was working for a company that's grown fast and he knew how to scale technology quickly. The information you're getting goes beyond “PUTS” commands; you're getting access to knowledge that will be valuable to anyone who wants to work in tech or startups. Read more BrainStation reviews on Course Report, and check out their upcoming Web Development, iOS Development, and Data Analytics courses, all of which are available in-person and online.